I was asked in a comment yesterday how I watermark my photos. 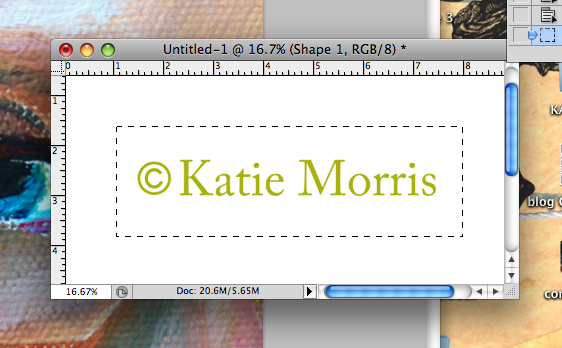 I've been meaning to write a blog post about this, because I found a super simple way to watermark it over the summer. I'd tried before to make a custom shape but I'm not good with a pen tool so I just gave up and continued to use an action I created, that really doesn't save a ton of time unless all your photos are the exact same size. 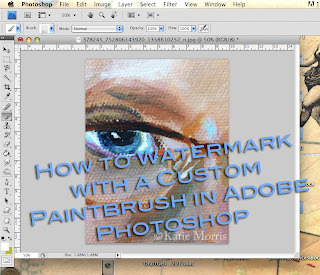 The magic trick that will save you tons of time is to create a custom paintbrush! Now every time I need to apply my copyright mark, I just choose the right size brush, click, and save. 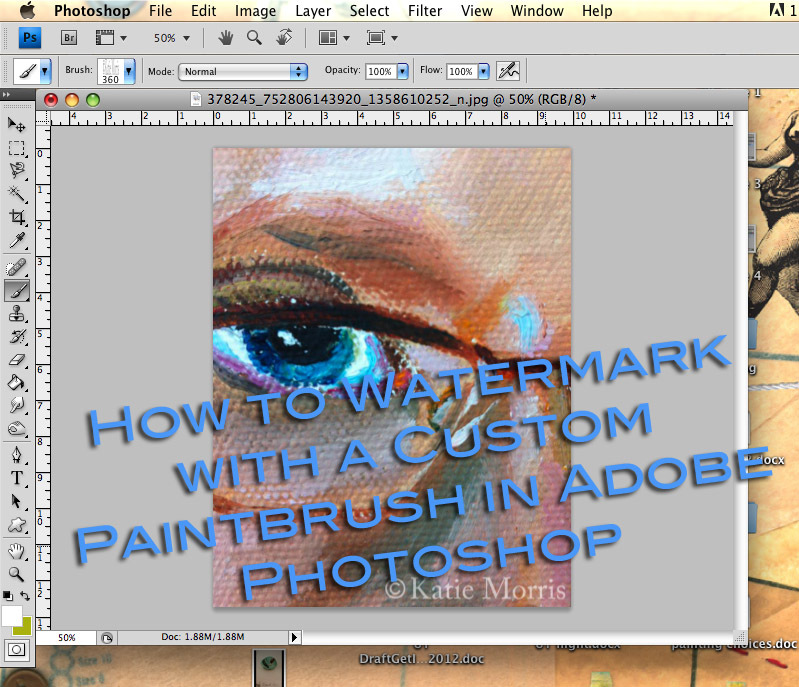 Read below to see how simple it is to create your own custom brush! 1. Create a new document. In this document, arrange your brush design. I typed my name in one layer and selected the copyright symbol from the custom shape tools. If you have to create more than one layer like I did with the text and a shape, merge them by selecting the layers and keying command+E or selecting "Merge Layers" from the "Layers" drop down. You can do this with any design, not just text. 2. Use the marquee tool to select your design. 3. 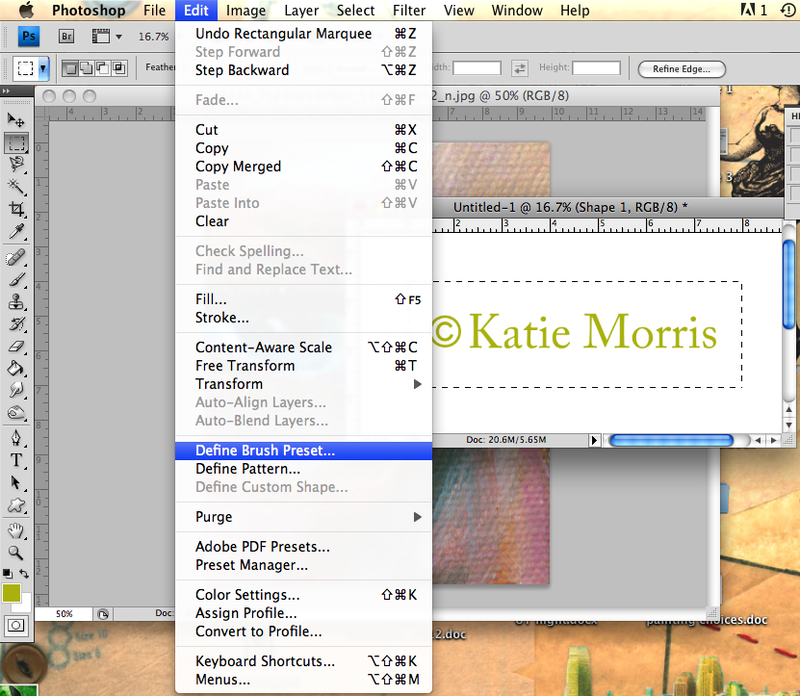 Under edit, select "Define Brush Preset". 4. 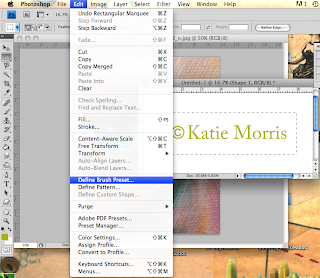 Name your brush and click "OK". 5. Select the Brush Tool, then scroll down to find your new paintbrush. 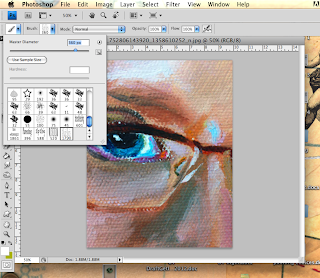 Adjust the size of the paintbrush until it looks right on your image. 6. Decide on a color and where you want your watermark to go, then click! If it shows up too light, try clicking twice without moving your mouse between clicks which will make it appear bolder. Thanks!!! I've been using PS for years, but never thought about creating a brush. Double thanks! This is way easier than what I was doing!